Gnarled Manzanita Wood is a very attractive wood. 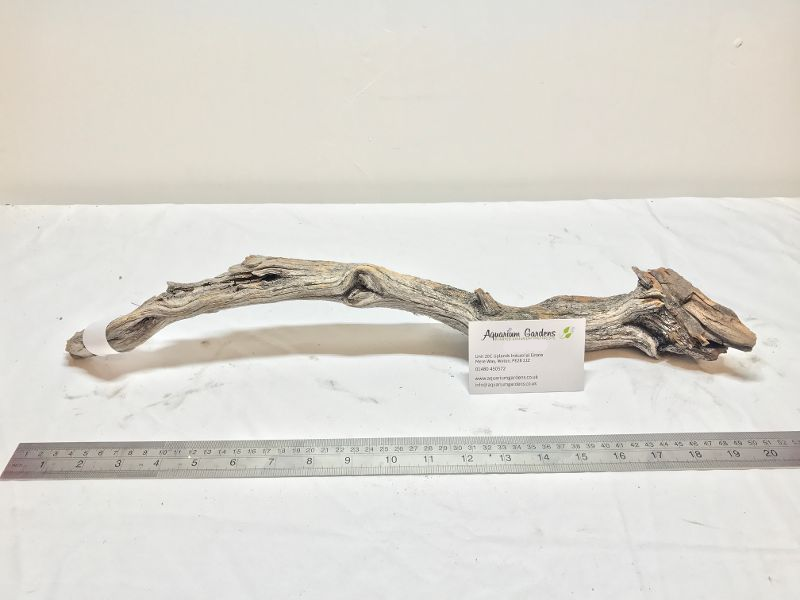 Typical characteristics are A long twisted, gnarled/knobbly branch that adds beauty and character to your aquascape or planted aquarium. This type of wood has a very 'aged' look and feel - great for adding instant maturity to your aquascape layout. Best when using multiple pieces to create an attractive layout. Popular amongst aquascapers and the nature aquarium. A very sought after wood that's hard to find in the UK. Please note: Each piece is unique and different, therefore will vary to the pictured piece in this listing. We recommend buying a few different pieces to create an eye catching layout. Perfect for attaching plants to such as Moss, Java Fern and Anubias. Safe to use with shrimp. Like all driftwood, Manzanita needs soaking to become saturated before it will sink. We recommend sitting the wood in a container of water until saturated before placing in your aquarium. This can take from 24 hours to two weeks depending on the size of the wood.